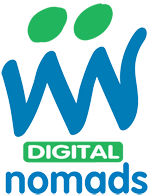 At Digital Nomads we strive to deliver exceptional customer service and support to all of our clients. In the event of an issue or complaint we will use our very best endeavours to resolve the matter to your satisfaction. In the very unlikely event that we can’t reach an amicable settlement and resolution, you are entitled under UK consumer legislation to contact an Alternative Dispute Resolution (ADR) provider. If that was ever required, Digital Nomads would refer customers to the Retail Ombudsman. Online Dispute Resolution refers to the facilitation of dispute resolution using online technology.